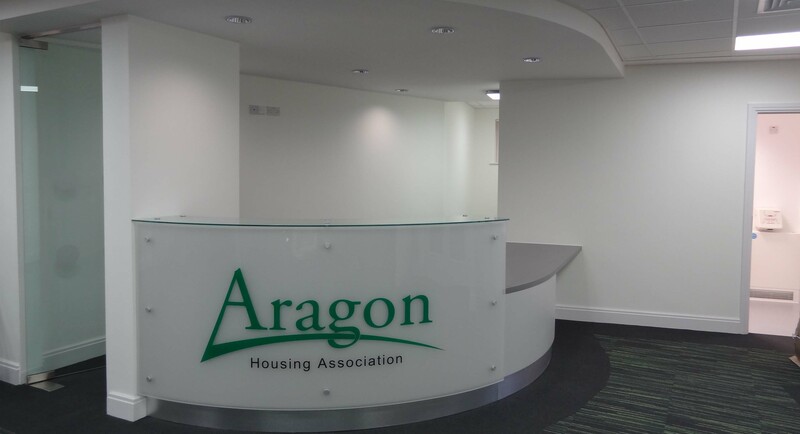 Kyle Smart Associates were commssioned to carry out a complete review of Aragon Housing Associations office facilities in Ampthill. The new design creates a transparent public area which has views through to the main office, reinforcing the transparency way of working adopted by this community focused Housing Association. The extensive use of glass creates an illusion of space in what was previously a very cramped public area.